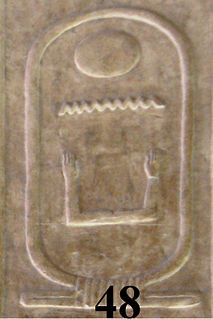 The cartouche of Merenre Nemtyemsaf II on the Abydos king list. Merenre Nemtyemsaf II was an Ancient Egyptian pharaoh, the sixth and penultimate ruler of the 6th Dynasty. He reigned for 1 year and 1 month in the first half of the 22nd century BC, at the very end of the Old Kingdom period. 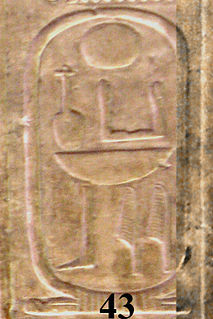 Nemtyemsaf II likely ascended the throne as an old man, succeeding his long-lived father Pepi II Neferkare at a time when the power of the pharaoh was crumbling. Merenre Nemtyemsaf II is attested on the 4th line, column 6 of the Turin canon, a king list redacted in the early Ramesside Period. Although his name is lost in the canon, the duration of its reign is still readable as 1 year and 1 month, following the reign of Pepi II Neferkare. Nemtyemsaf II is also attested on the 39th entry of the Abydos King List, which dates to the reign of Seti I and constitutes one of the best preserved historical records for the end of the Old Kingdom and beginning of the First Intermediate Period. 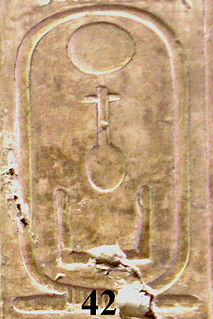 The Abydos king list is the only document where Nemtyemsaf II bears the throne name Merenre. A later historical source also records the existence of Nemtyemsaf II: indeed he is mentioned in Manetho's Aegyptiaca, a history of Egypt written in the 3rd century BC. 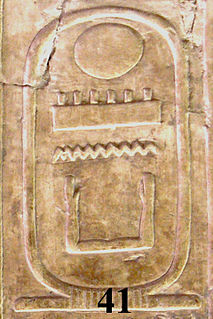 Manetho gives Nemtyemsaf II's name as Menthesouphis and credits him with one year of reign. There is only one contemporary artefact known for sure to belong to Nemtyemsaf II. It is a damaged false door inscribed with Sa-nesu semsu Nemtyemsaf meaning "The elder king's son Nemtyemsaf" and discovered near the site of the pyramid of Neith, Pepi II's half-sister and queen and most likely Nemtyemsaf II's mother. 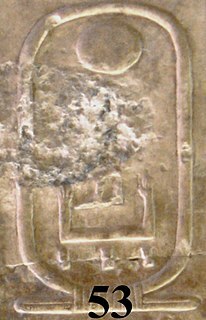 As indicated by the epithet of "elder king's son", this inscription was made before Nemtyemsaf's accession to the throne, when he was the heir apparent and also shows that he bore this name before becoming a pharaoh. A second artefact may possibly belong to Nemtyemsaf II: a decree to protect the funerary cults of queens Ankhesenpepi I and Neith discovered in the mortuary temple of queen Neith. If this decree was indeed issued by Nemtyemsaf II, his Horus name would be S[...]tawy meaning "He who causes the two lands to...". Nemtyemsaf II succeeded his father Pepi II after his extremely long reign, believed to have been up to 94 years. Nothing is known for certain of Nemtyemsaf's activities but he likely had to face the collapse of the royal power and the rise of the provincial nomarchs. Less than 3 years after his death, the Old Kingdom period ended and the chaos of the First Intermediate Period started. Nemtyemsaf II may possibly have started a pyramid for himself and, if so, it would likely have been in Saqqara, close to that of his father. In his Histories, the Greek historian Herodotus records a legend according to which an Egyptian queen Nitocris took revenge on the murder of her brother and husband by a rioting mob, allegedly Nemtyemsaf II, by drowning all his murderers during a banquet where she had gathered them. 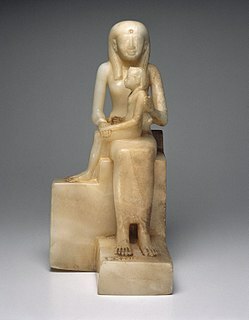 It is now recognized that the name "Nitocris" is a result of conflation and distortion from the name of a real male pharaoh, Neitiqerty Siptah, who succeeded Nemtyemsaf II. Wikimedia Commons has media related to Merenre Nemtyemsaf II. ^ a b Jürgen von Beckerath: Chronologie des pharaonischen Ägypten (Chronology of the Egyptian Pharaohs), Mainz am Rhein: Verlag Philipp von Zabern (1997), p. 152. ^ Peter A. Clayton: Chronicle of the Pharaohs: The Reign-by-Reign Record of the Rulers and Dynasties of Ancient Egypt, Thames & Hudson (2006), ISBN 0-500-28628-0, see p. 64. ^ Thomas Schneider: Lexikon der Pharaonen, Düsseldorf 2002. ^ Erik Hornung (editor), Rolf Krauss (editor), David A. Warburton (editor): Ancient Egyptian Chronology, Handbook of Oriental Studies, Brill 2012, ISBN 978-90-04-11385-5, available online copyright-free, see p. 491. ^ Jürgen von Beckerath: Handbuch der ägyptischen Königsnamen, Münchner ägyptologische Studien, Heft 49, Mainz : Philip von Zabern, 1999, ISBN 3-8053-2591-6, see pp.64–65, king No 6. ^ Gustave Jéquier: Les pyramides des reines Neit et Apouit, Imprimerie de l'Institut Français d'Archéologie Orientale, Cairo (1933), new edition: Service des antiquites de l'Egypte (1984), ISBN 978-9770104934. ^ Kurt Sethe (editor): Urkunden des ägyptischen Altertums, Vol. 1: Urkunden des alten Reiches, Hinrichs, Leipzig 1933, num. 307 available online. ^ Hans Goedicke: Königliche Dokumente aus dem Alten Reich, Wiesbaden: Otto Harrassowitz (1967), p. 158–162. ^ Miroslav Verner: Die Pyramiden, Reinbek 1997, p. 415. Qakare Ibi was an Ancient Egyptian pharaoh during the early First Intermediate Period and the 14th ruler of the Eighth Dynasty. As such Qakare Ibi's seat of power was Memphis and he probably did not hold power over all of Egypt. Qakare Ibi is one of the best attested pharaohs of the Eighth Dynasty due to the discovery of his small pyramid in South Saqqara. Pepi II was a pharaoh of the Sixth Dynasty in Egypt's Old Kingdom who reigned from c. 2278 BC. His throne name, Neferkare (Nefer-ka-Re), means "Beautiful is the Ka of Re". He succeeded to the throne at age six, after the death of Merenre I.
Userkare was the second pharaoh of the Sixth Dynasty, reigning briefly, 1 to 5 years, in the late 24th to early 23rd century BC. Userkare's relation to his predecessor Teti and successor Pepi I is unknown and his reign remains enigmatic. 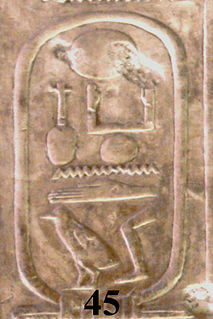 Although he is attested in historical sources, Userkare is completely absent from the tomb of the Egyptian officials who lived during his reign. In addition, the Egyptian priest Manetho reports that Userkare's predecessor Teti was murdered. Userkare is often considered to have been a short-lived usurper. Alternatively, he may have been a regent who ruled during Teti's son's childhood who later ascended the throne as Pepi I.
Menkare was an ancient Egyptian pharaoh, the first or second ruler of the Eighth Dynasty. Menkare probably reigned a short time at the transition between the Old Kingdom period and the First Intermediate Period, in the early 22nd century BC. The rapid succession of brief reigns at the time suggests times of hardship, possibly related to a widespread aridification of the Middle East, known as the 4.2 kiloyear event. 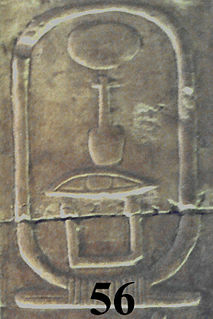 As a pharaoh of the Eighth Dynasty, according to Manetho, Menkare's seat of power would have been Memphis. Nikare was an ancient Egyptian pharaoh of the Eighth Dynasty during the early First Intermediate Period, at a time where Egypt was possibly divided between several polities. According to the egyptologists Kim Ryholt, Jürgen von Beckerath and Darrell Baker he was the ninth king of the Eighth Dynasty. As such Nikare's seat of power would have been Memphis. Neferkare Pepiseneb was an ancient Egyptian pharaoh of the Eighth Dynasty during the early First Intermediate Period. According to the egyptologists Kim Ryholt, Jürgen von Beckerath and Darrell Baker he was the twelfth king of the combined Eighth Dynasty. Neferirkare was an ancient Egyptian pharaoh of the Eighth Dynasty during the early First Intermediate Period. According to the egyptologists Kim Ryholt, Jürgen von Beckerath and Darrell Baker he was the 17th and final king of the Eighth Dynasty. 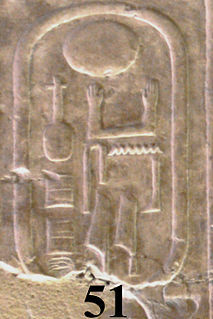 Many scholars consider Neferirkare to have been the last pharaoh of the Old Kingdom, which came to an end with the 8th Dynasty. Ankhesenpepi II or Ankhesenmeryre II was a queen consort during the sixth dynasty of Egypt. She was the wife of Kings Pepi I and Merenre Nemtyemsaf I, and the mother of Pepi II. She was buried in a pyramid in Saqqara. Netjerkare Siptah was an Ancient Egyptian pharaoh, the seventh and last ruler of the Sixth Dynasty. Alternatively some scholars classify him as the first king of the Seventh or Eighth Dynasty. As the last king of the 6th Dynasty, Netjerkare Siptah is considered by some Egyptologists to be the last king of the Old Kingdom period.